MomsRising.org | Tell the U.S. Senate: PASS the Paycheck Fairness Act! Tell the U.S. Senate: PASS the Paycheck Fairness Act! Amazing news! 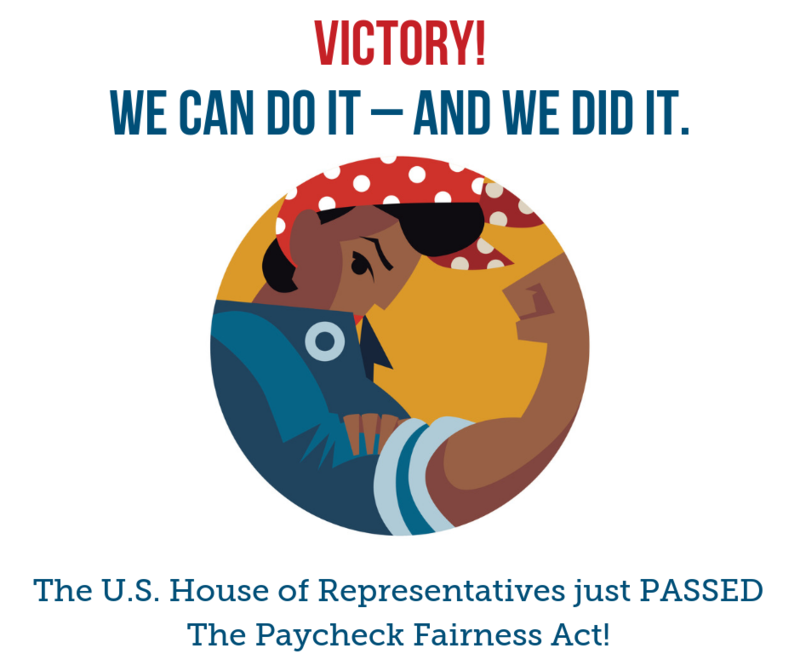 The U.S. House of Representatives just passed the Paycheck Fairness Act and now we’re charging full speed ahead toward the U.S. Senate with our campaign for equal pay! >>> Tell your U.S. Senators to co-sponsor and advance the Paycheck Fairness Act. The wage gap exists in every state, regardless of geography, occupation, or education. Moms and women of color are hit hardest by unfair pay practices and on average, women individually lose out on over $10,000 each year due to the wage gap. Please co-sponsor the Paycheck Fairness Act, if you haven't already, and work to pass it swiftly, just like the House of Representatives did! The Paycheck Fairness Act would close loopholes in the Equal Pay Act, combatting wage discrimination and strengthening workplace protections for women.